D-Scheme Studio executed the change use from a retail to a 2,300 sq ft food service space. 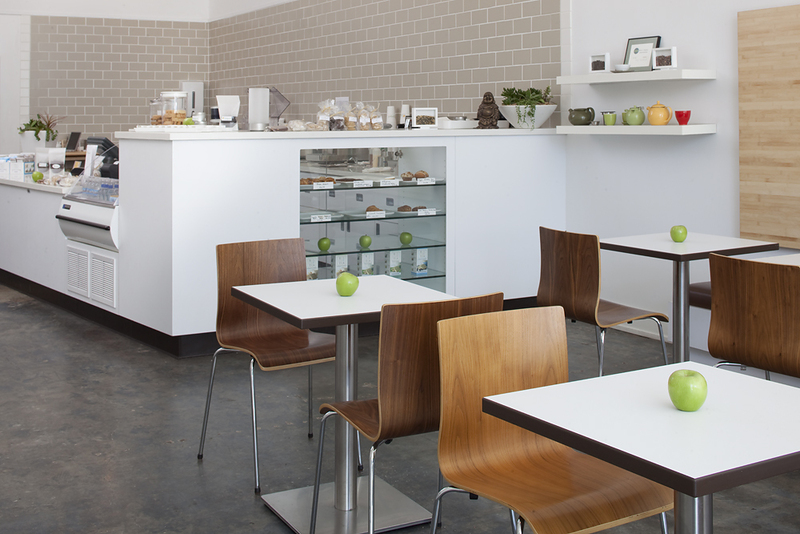 The Café connects guests from the interior to the quaint exterior surroundings of downtown San Anselmo with featured elements such as bamboo wood details, clean walls, sealed concrete floors, planned circulation and a large garage type door allowing natural light & air to fill the space. 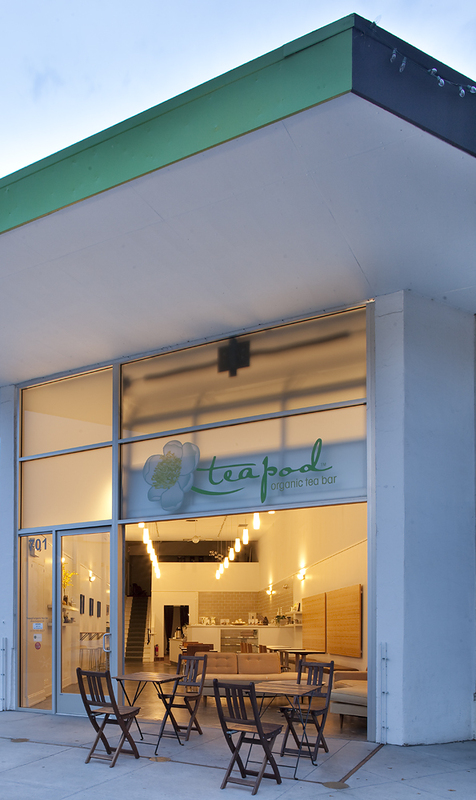 The Teapod is nestled in a quaint neighborhood of boutiques and restaurants. Its renovated warehouse front was open, inviting us in to the bright interior. Sleek and simple décor brought the term "minimalism" comes to mind, but the shop was not cold the way some modern design can be.